If you're trying to teach anatomy, the Weaver 3-D Body Book is just what you need. This book shows you how to create a life-sized copy of your child, filled with organs that are three-dimensional. Minimal sewing is required, and can be done by hand. Supplies, such as sponges, cardboard, yarn, ribbon, and other household items are all used to create a replica of your child. Simple step-by-step instructions allow even the youngest child to be involved in completing this fun educational puzzle. As a further convenience, the directions take you through the placement of the organs a few at a time, in layers, so your child will learn through hands-on experience exactly where each organ is located. Homeschooling has never been so much fun! 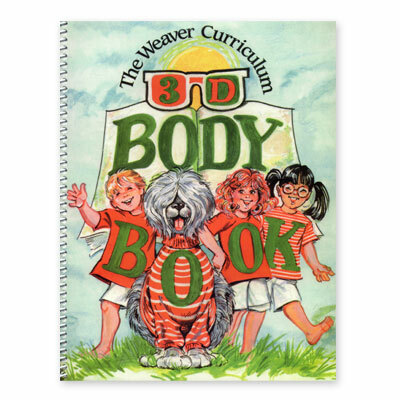 The Weaver 3-D Body Book is the perfect resource for The Weaver Curriculum. Human anatomy is studied in-depth in Volume 1 chapter 12, Volume 3 chapter 8, and Volume 4 chapter 5. And don't overlook your older students. The Weaver 3-D Body Book makes a great project for science fairs, 4-H competitions, and relatives who like to see what your children are learning. Visit Alpha Omega Publications to order your copy of the Weaver 3-D Body Book today!